He has waited 10 years for his chance to shine in the Football League. And now – with his debut just 24 hours away – Andy Cook is determined to prove he is ready for English football’s third tier. The striker will lead the line for Walsall when they kick-off the 2018/19 campaign at home to Plymouth tomorrow. Cook came through the youth ranks at Carlisle but never made a first team appearance for the Cumbrians. But since leaving Brunton Park he has forged a reputation as one of the most prolific marksman in non-league. Over the past three seasons, Cook has scored 75 goals in 134 games during spells with Barrow and Tranmere. And after scoring for Walsall in pre-season friendlies against Ajax and Cheltenham, he is now ready to take his form into League One. “I cannot wait for the Plymouth game,” Cook said. “I have waited 10 years for this. I want to go out, get the win and get a couple of goals as well. “The most important thing is the team but there is a really good feeling around the place. “The aim is to go into Saturday, start well and build from there. “We’re going to give our all to win the three points. 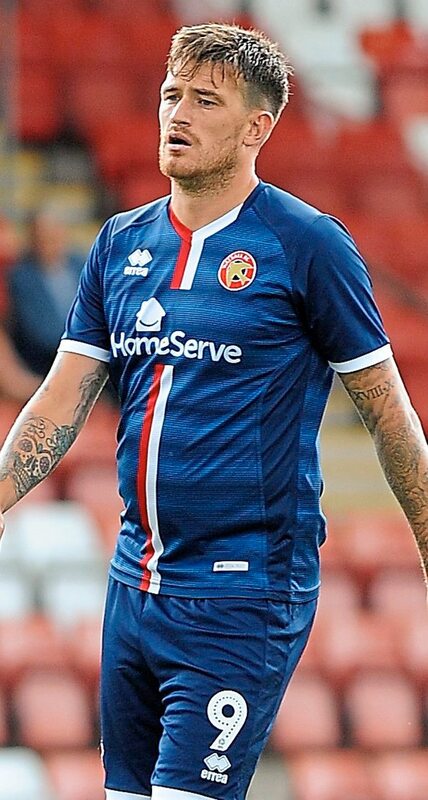 Cook’s move to Walsall has seen him jump up two divisions. But he is adamant he has what it takes to score goals in League One. “I’m not worried about not scoring goals,” he continued. “The goals don’t change size. I like to think I will still score goals. “I’d like to continue what I’ve been doing over the last four years and get 20 plus. Walsall have shown a gradual progression throughout pre-season with defeats to Rushall, Stoke and Villa followed by victories over Ajax and then Cheltenham. And Cooks feels winning their final friendlies has put them in good shape heading into tomorrow’s game. “The first few games we were gelling together,” he added. “Stoke and Villa; they were different class. But Ajax were a good side and I think the difference in those games was that we took our chances. Those results have given us a boost. I scored against Ajax and Cheltenham and that has given me a boost.